Lancing, UK – 16 May 2018 – British diesel outboard innovator, Cox Powertrain, today announces Fenwick as their French distributor for its game-changing 300hp diesel outboard engine. 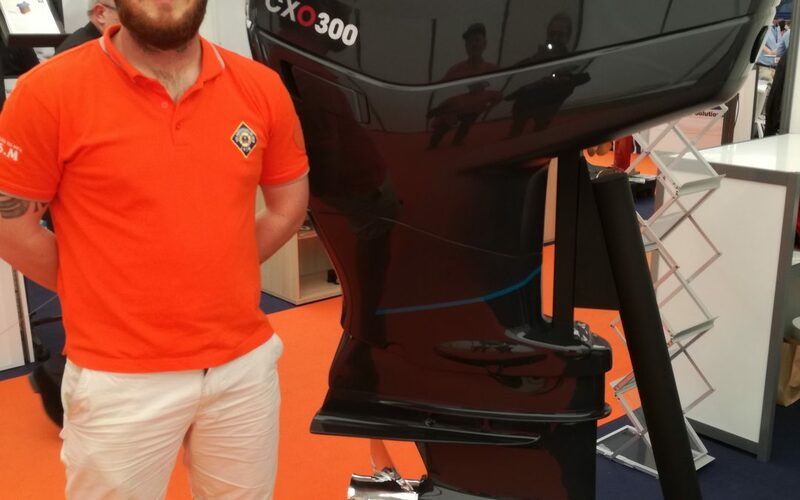 Visitors to Navexpo’s third floating trade show in Port of Lorient, France will be able to see a prototype of the highly anticipated CXO300 at Fenwick stand A04 from 15-17 May. The Fenwick team will be on-hand to talk about the industry changing engine, which will be launched later in 2018. Fenwick is the latest distributor to join an exclusive global alliance of Cox distributors that have been chosen for their reputable standing in maritime engine solutions for both professional and recreational users. The CXO300 is the world’s highest power density diesel outboard. Currently undergoing trials with the US Coast Guard and US Navy, the final concept CXO300 is based on a 4-stroke, V8 architecture. It has been developed for commercial and government applications, where performance, durability and fuel efficiency are paramount. A viable high-powered diesel outboard engine such as the CXO300 will be of specific interest to Navies, Coast Guards and other governmental organisations around the world for use on their fast response vessels.